Our expert staff is always ready to provide fast, efficient response to your air conditioning and heating needs. Based out of Lake Charles, Air Conduit is one of the largest mechanical and HVAC contractors in Southwest Louisiana. Our highly skilled technicians can install all types of heating and air conditioning equipment, including chillers, boilers, pumps and more! We've worked with schools, offices, churches, and hospitals over the years and would love to work with your business as well! With more than 30 years of industry experience, owner Robert Lockett demands excellence from his technicians and staff in order to maintain Air Conduit's superior reputation for outstanding service. Air Conduit, LLC is a full-service air conditioning and heating company licensed by the states of Louisiana and Texas with the ability to service and install complete air conditioning and heating systems. We are fully insured and a member of the Better Business Bureau. In addition, our technicians go through a thorough drug test and criminal background check prior to employment. 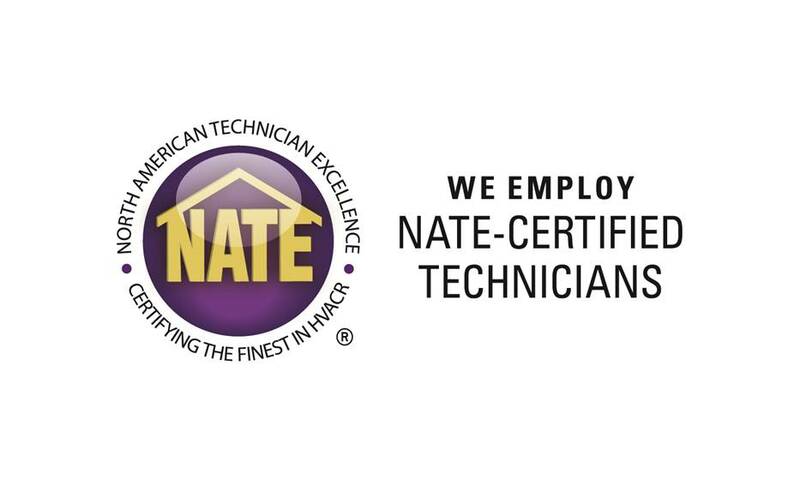 In addition our technicians receive state-of-the art and continuous training and are NATE Certified. Whether you own a commercial or industrial building, whether you need installation or service, Air Conduit provides you with key environmental systems expertise for all brands of HVAC equipment.